We are happy to post any exciting polymer-related news not just news regarding the Group. So please do let us know! January 2019: The group is getting bigger bigger! 7 more MSc students have joined us. Welcome Danai, Hongke, Jinyi, Kaiwen, Linli, Maria and Nikitas! December 2018: Dr Georgiou gave an invited talk at the 2nd NSFC RSC conference at Warwick. Great conference! October 2018: Big welcome to Joana that is joining us for a PhD and Saul & Kathryn that are joining us to undertake their MEng project. All the best! September 2018: Welcome back to Qian Li (ex-MSc student of the group) that has now joined the group as PhD student. Good luck! August 2018: Congratulations to Anna Constantinou for being awarded a prestigious EPSRC Doctoral Prize Fellowship. She will be staying in the group for another year as a postdoctoral fellow. May 2018: Dean's work gets accepted in Polymer Chemistry and will also be featured as the inside cover. Congratulations Dean! March 2018: Congratulations to Anna Constantinou for wining the first prize for talk of best scientific content at the Postgraduate Day of the Department. January 2018: A big welcome to Bailin and Will that joined the group to undertake their PhDs. October 2017: Baby Eirini arrives. Both mum Theoni and baby Eirini are doing well. October 2017: A big welcome to Dr Anna Li Volsi that joined the group as postdoctoral fellow. Congratulations to Justin for his new position to Korean. Best of luck! July 2017: Dr Georgiou to give an invited talk at EPF 2017. Congratulations to Justin for his new papers in Acta Biomaterial and Macromolecular Rapid Communications! 5/04/2017 The 3rd annual London Polymer Group meeting was organised by the TKG group. A big thank you to everyone involved and to everyone that attended the conference! April 2017. A big welcome to Xinmo that is joining the group for a PhD. Welcome to GPG Xinmo! Anna's new cover in Polymers! Click here to view. Congratulations Anna. Feb 2017. Dr Georgiou gave an invited talk at KAUST. A big welcome to Birsen for joining the group as a PhD student! Hoşgeldiniz Birsen! Jan 2017: Dr Georgiou gave an invited talk at RSC Biomaterials at Belfast. Dr Georgiou has been awarded the 2016 Macro Group UK Young Researchers Medal for contributions to polymer science which show outstanding promise for the future. September 2016: Good luck to all our graduates. It was great working with you. All the best! August 2016: Justin's new paper in Chemistry of Materials on hybrids with different polymer structures is out! Well done Justin. Click here. Congratulations to Anna for being awarded the 2016 James S Walker Award by the IOM3 for her MSc project on thermoresponsive polymers. Well done Anna! July 2016: Miss Anna Constantinou presented her work at Warwick 2016 and Dr Georgiou gave an invited talk. The best Warwick conference ever with 600 participants. June 2016. Dr Georgiou gave an invited talk at POC16 in Crete. What a nice event! The LPP16 World Congress in Budapest is starting on the 29th of May 2016! Dr Georgiou to give an invited talk. April 2016. Dr Georgiou gave an invited talk to the 2nd London Polymer Group meeting. Next year it is up to the GPG to organize the conference! Congratulations to Bingyuan. His paper on "Microfluidically fabricated pH-responsive anionic amphiphilic microgels for drug release" made it to the 2016 Journal of Materials Chemistry B "hot" papers! The same article is also future on the Emerging Investigators 2016 Issue that Dr Georgiou was invited to contribute. Anna's recent paper in Polymer Chemistry makes it as the "paper of the month". Click here. Congratulations Anna! March 2016: Dr Georgiou gave a talk at Annual Conference and Expo on Biomaterials (Biomaterials 2016) which was held during March 14-16, 2016 in London. Bingyuan's new article on "Microfluidically Fabricated pH-Responsive Amphiphilic Microgels for Drug Release" is out. Click here. A big welcome to all the new MSc students of the group! Miss Anna Constantinou won jointly the 2015 AWE William Penney Prize. This is an annual award to students on the MSc Advanced Materials course in the Department of Materials for the best project report ! Congratulations Anna! Well done! November 2015: Theoni gave an invited talk at the Department of Chemistry at the University of Hull. October 2015: Miss Anna Constantinou and Mr Dean Carroll joined the GPG for a PhD. Good luck! Congratulations to Leon, Anna, Hamizah and Rhanda for obtaining their MSc degrees. Well done all of you! Theoni has been appointed as an Associate Editor for RSC Advances starting November 2015. 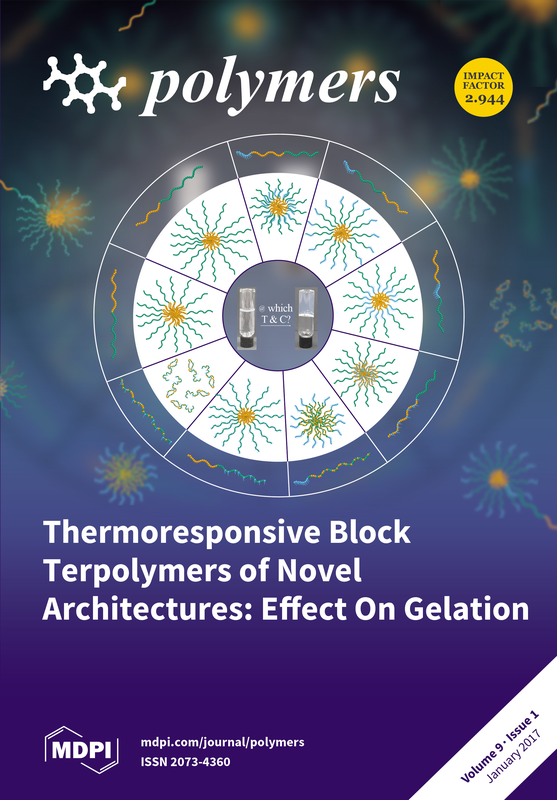 September 2015: Our review paper on "Thermoresponsive Polymers for Biomedical Applications" is still one of the top 10 most cited paper in Polymers. Click on the title for access. August 2015: Good luck to Charles, Caroline and Louise! August 2015: Dr Georgiou gave an invited talk at Nanotechnology Congress and Expo in Germany. Theoni was also one of the invited speakers at the Internation Symposium on Amphiphilic Polymers, Networks, Gels and Membranes that was organised by Professor Bela Ivan in Budapest (31st of August to 2nd of September). June 2015: Mr Charles Signoret has joined GPG for a summer internship. Welcome Charles! May 2015: Latest article on amphiphilic microgels in collaboration with Professor Pamme. Click here. May 2015: Dr Georgiou to talk at the Department of Chemistry, at the University of Cyprus. April 2015: Everything is set-up in the lab. Ready to go! Exciting! April 2015: Invited seminar by Dr Georgiou at the Department of Materials at Queen Mary entitled "Engineering Polymeric Materials for Biomedical Applications". March 2015: Don't miss out on the London Polymer Group 1st symposium! At University College of London. March 2015: Dr Georgiou at Ghent University in Belgium for an invited talk at the Department of Organic and Macromolecular Chemistry. February 2015: Dr Georgiou gave an invited seminar at School of Biosciences, University of Kent, UK. December 2014: The lab is finished! Time to start setting it up. May 2014: Dr Georgiou gave an invited talk entitled "Manufacturing Milestones for Polymer Business" at Medteck, London, UK. Feb 2014: Check out Theoni's latest invited review on Star Polymers for Gene delivery. January 2014: Dr Georgiou joins the Department of Materials at Imperial College London.